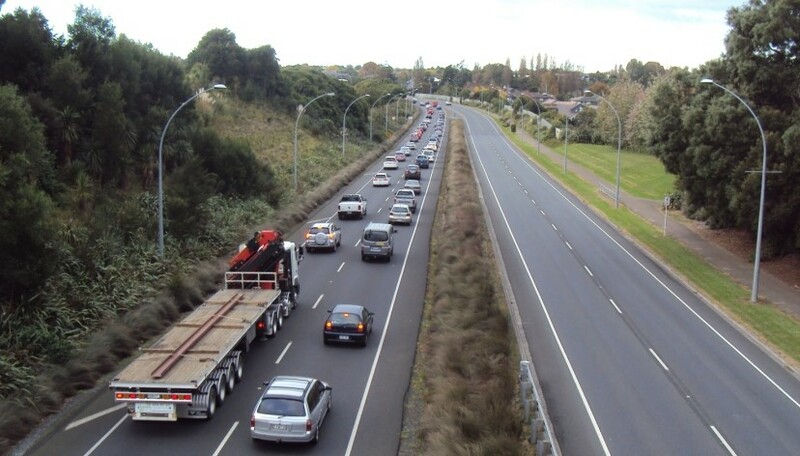 Readers need to be aware that this post does have a bias toward giving weaker road users a higher priority for road space. My reading of these design manuals is therefore to identify the widths providing greatest benefit for people aged 8 to 80. First warning: For this post, lane width is about the distance between painted lines or changes in road surface texture. Kerbs/road bumps greater then 50mm in height limit the available options. See the photo at the end of this post. 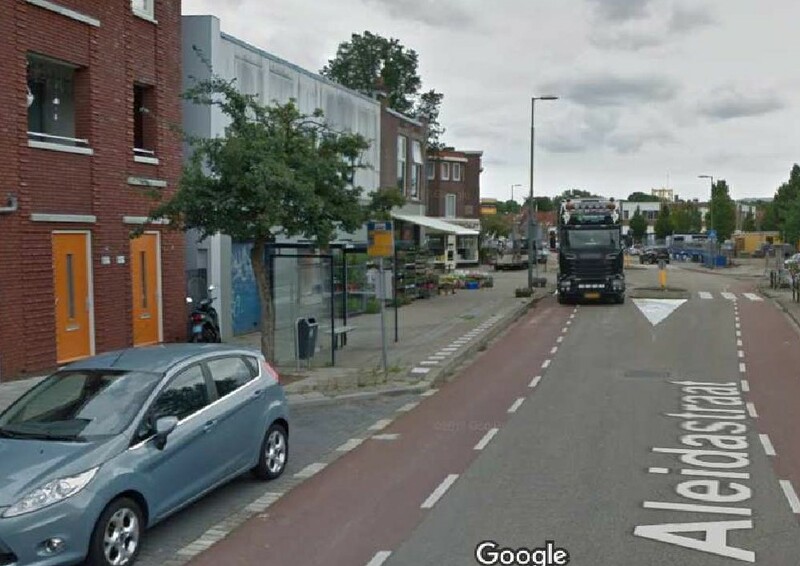 Here is an example (in Schiedam) of narrowed motor vehicle lanes with the cycle lane width being maintained through the intersection. As we can all see, this doesn’t mean excluding heavy traffic (note bus stop). What it does mean is that the safety* a cycle lane width gives can be continued through the intersection. 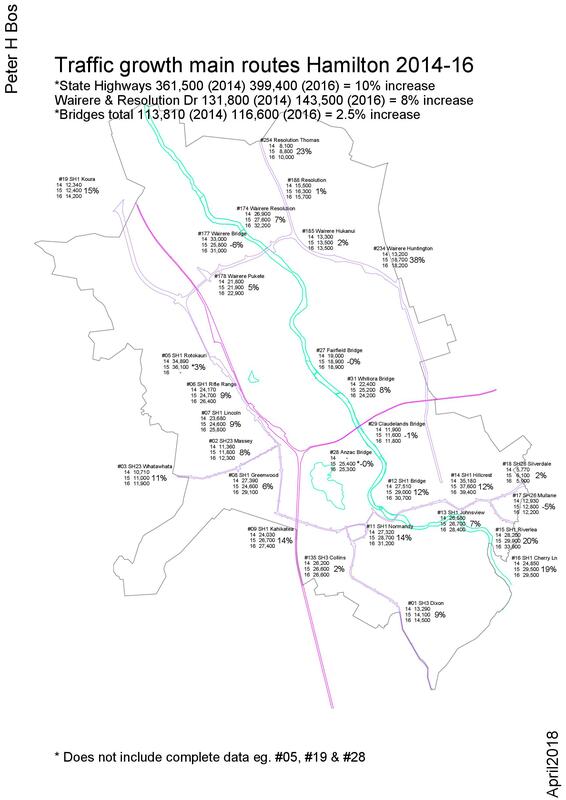 Data collected from the Minneapolis-St. Paul and Oakland County – Detroit areas does not support the idea of wider lanes being safer for motorists. In my opinion it is particularly important that when narrowing lanes that kerbs and speed bumps are kept as low as possible. People stop for a variety of reasons. Bumps can make the ride in a bus uncomfortable or an ambulance trip worse than it needs to be. 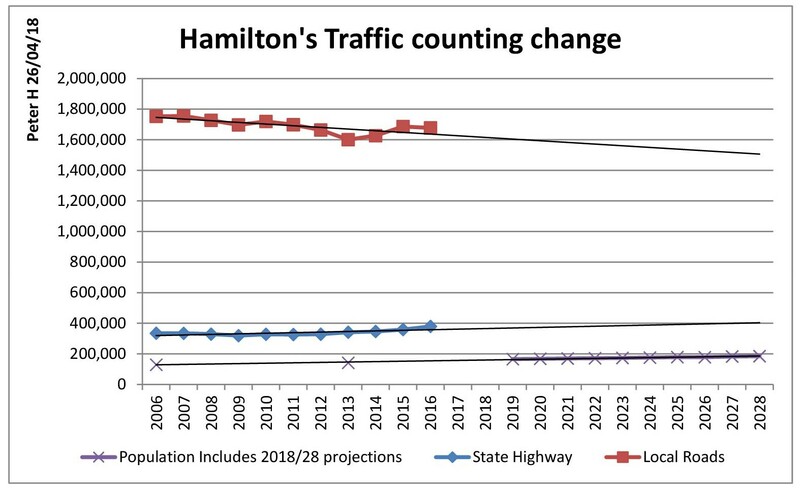 It is true that traffic volumes are growing, but when this is mapped the growth decreases along main routes through Hamilton. Another way to see change in growth is to graph traffic counts; (you can find data here – Link) It is presented as a pdf not as live Excel, so after a bit of copying and typing , we have a graph that shows a trend line of traffic growth on State Highways, which are central government funded, and reducing traffic on local roads, which are partly funded from local rates. When asked, the very helpful staff at council added a bit more detail to this VKT/km. 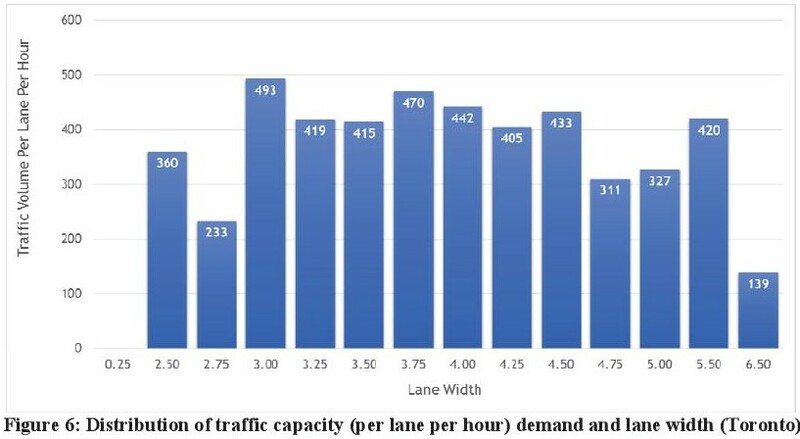 There seem to be numbers that support the idea traffic volumes are growing, but the opposite may also be true; looking back to past post on Parking evidence, vehicle counts in Hamilton central appeared to be decreasing.